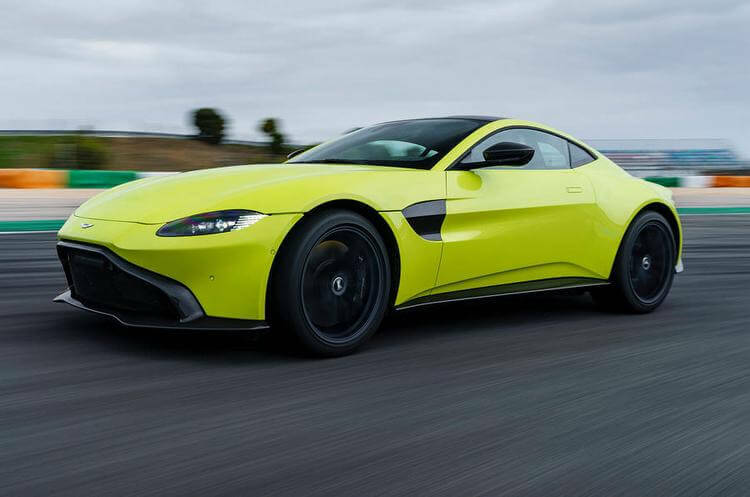 Home » Automobiles-Cars » A 2018 Aston Martin Vantage Review: Will It Triumph Victory? At the moment Porsche 911 is still the top choice for sports cars around $130,000 of base price. It is no doubt in top-notch quality. But, that does not mean other competitors will accept losing behind, including Aston Martin. And in such context, 2018 Aston Martin Vantage is like their answer to the revered Porsche 911. Will it be able to topple the Porsche 911? Let’s find out! Starting since 2005, the Aston Martin Vantage series has always been Aston Martin’s high-performance variant with aim to attract potential customers of cars like Porsche 911. Within the range of about $130,000, currently Porsche 911 is still the top choice for many. And so, the 2018 Vantage has to put a lot of effort in order to surpass the 911. So, what kind of new enhancements included for the 2018 Vantage this time? 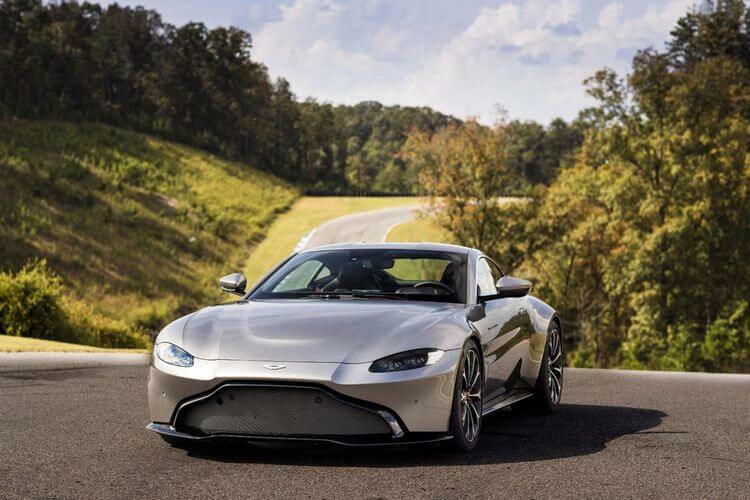 Well on the surface, the 2018 Vantage is based from the architecture shared with the Aston Martin DB11, along with the powerful Mercedes-AMG V-8 engine. 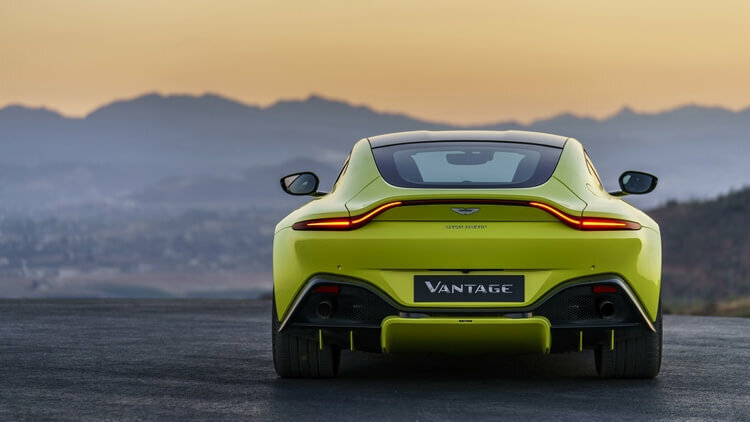 That said, 70% of the new Vantage is new, including various tweaks and changes such as the bonded aluminum chassis, the Aston Martin-first-ever electronically controlled differential with torque vectoring, and of course the sweet 50:50 front-and-rear ratio. Such changes truly make tons of differences for the new 2018 Aston Martin Vantage. The only curious question is: how exactly? As always, the 2018 Aston Martin Vantage still retains its elegant Aston Martin style with 2-door-coupe body, broad stance, and wide rear end. Overall looking, the 2018 Vantage still give us a “James-Bond-ish” hype with certain small changes in details. The body is undoubtedly Aston Martin, yet still gives out an unique feeling of a Vantage. The rear-end structure also gets revamped, featuring repositioned gas tank and rear sub-frame. Other notable change is the headlights and taillights’ new design. On the front, the lights are pushed further towards the fascia’s outer edges and also made more horizontal, resulting in even better front visual. Meanwhile the taillights are designed to be thinner and cover the tail in a straight line. In addition, the LEDs are included for lighting, so too the dynamic turning signals. And talking about the taillight, the 2018 Vantage actually provides fairly decent trunk space in sports car standard. 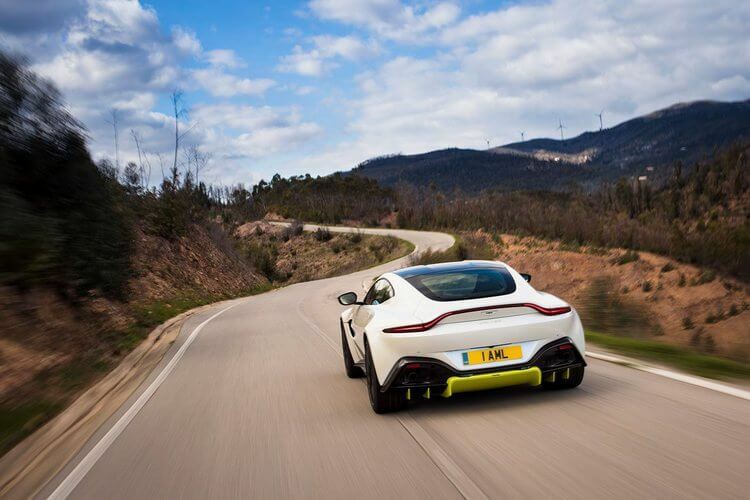 In terms of aerodynamics, the 2018 Vantage feature an underfloor aerodynamic system instead of active aerodynamics from the Aston Martin DB11. This underfloor aerodynamic system includes turning vanes and diffusers which can direct the airflow. It is said that at 100 mph, the 2018 Vantage can generate 66 lbs of downforce at the rear and 22 lbs on the front. The 2018 Vantage still retains its core styling with driver-focused design. In addition, it gains sharper, more focused lines rather and as the result, its interior design looks sportier than the previous Aston Martins. Of course, talking about Aston Martin’s interior we cannot simply miss the exotic leather design and Alcantara trim. Aside from that, the 2018 Vantage’s interior feels positively spacious. The seats are comfortable, not exactly the perfect type of comfort, but still they are great and supportive. For the displays, it features a dash-centered 8.0-inch LCD screen and an infotainment screen for the center console. All displays are digital which are quite easy to navigate. Of course other quality-of-life additions like Bluetooth audio, WiFi, and parking assistant system still included (but curious enough, there is no glove-box). Under that front hood lies the heart of the 2018 Aston Martin Vantage: a powerful 4.0-litre twin-turbo V-8 engine inherited from the Mercedes-AMG. Of course, its wild nature is still there: incredible throttle response, raging revs, and furious power, but this time, with more English touches. Typically, it features various lump enhancements like water-to-air charge cooling, quad cams, and CNC combustion chambers, and a 10.5:1 compression ratio. Additional changes also applied for the exhaust systems, namely electronically controlled flap for the exhaust and the specially tuned intake. As the results, what we have is a song of war with more intense, angrier side to it. There are certain AMG elements to it, but nonetheless it still sounds unmistakably Vantage. Accompanying the V-8 is the eight-speed ZF automatic transmission located at the rear for weight balancing purpose. And thanks to it, the 2018 Aston Martin Vantage is capable of delivering a blasting power of 503 hp and 505 lb-ft of torque. It can hit from 0 to 60 mph in less than 4 sec (or 3.5 sec to be exact) and the top speed of 195 mph. As mentioned, the 2018 Aston Martin Vantage does take cues from the DB11, including the engine and chassis. However, the rest 70% of the 2018 Vantage are new. First off, one great thing we can sense while riding the 2018 Vantage is its astounding stability. Despite its dry weight of 1,530 kg (or 3,373 pounds), the car feels extremely stable and agile thanks to its 50:50 weight distribution ratio between the front and the back. As the results, the 2018 Vantage is balanced with the turning point in the middle. Its handling is exceptionally good, which makes the Vantage extremely fun to drive, especially on track. The driving seat feels right on the spot. Since the car turns around its center point where we sit, it has really great body control. 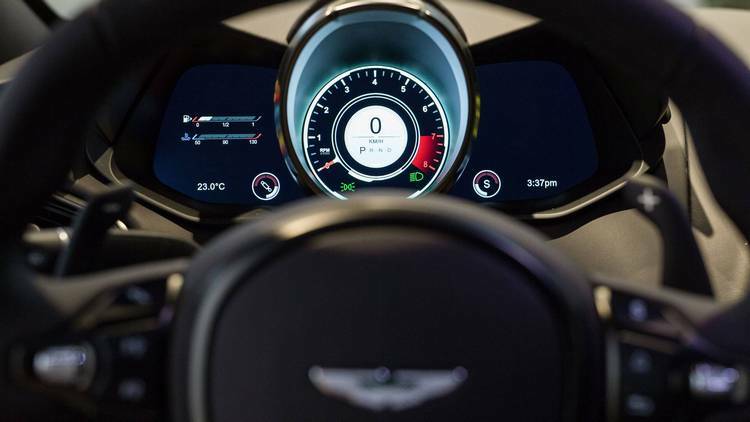 Steering feels adequately responsive, adequate enough to make the Vantage feel light and agile. And the grip feels entirely on the whole new level compared to the previous generation. While talking about the body control, we may want to pay a bit of attention to the chassis. Here we still have the similar chassis like the DB11. That said, it structure is entirely aluminum built for lower weight and better stiffness. Its new architecture features more casting and forging, meaning less intrusion. 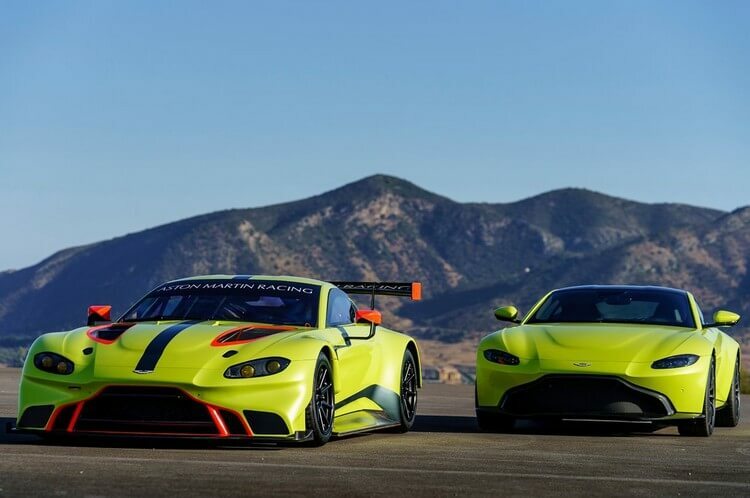 This allows them to have more optimization for the space, thus makes the 2018 Vantage different despite having the same chassis. In addition, it gets wider due to more materials used, but that’s what provides more strength to the structure. Moving on to the next enhancement, we have an electronic rear differential, making the 2018 Vantage to be the very first Aston to have an E-Diff. This E-Diff, combining with the electronic stability control, provides more integrated control and faster operation. It is to shift from locked to open within mere milliseconds. Putting this in the entire structure, again we have an outstanding control over the car, both the front and the rear. The rear sub-frame has excellent rigidity and it is attached to the chassis which also provides additional stiffness. Therefore, the back axle of the car always fulfills what the engine and the E-Diff requires. Besides the changes mentioned above, there is Adaptive Damping System included with Skyhook technology and different drive modes. Interesting enough, the 2018 Vantage does not feature a Comfort mode like its brother DB11. However, it does offer option between Sport, Sport Plus, and Track mode. All modes put certain changes to all other aspects such as the engine, transmission, dampers, and E-Diff. That said, probably the most unwanted thing about the 2018 Vantage is its feedback. Its electric power steering does not have that satisfying communication. And also, the gearbox does not entirely fulfill our needs. But nonetheless, it is still a huge development from the DB11 with similar transmission. Overall, the 2018 Aston Martin Vantage is definitely fun to play with. It is rather approachable, yet still able to maintain the ferocity we expected from a 503-hp sports car. Its body control, it follows what we want to do. 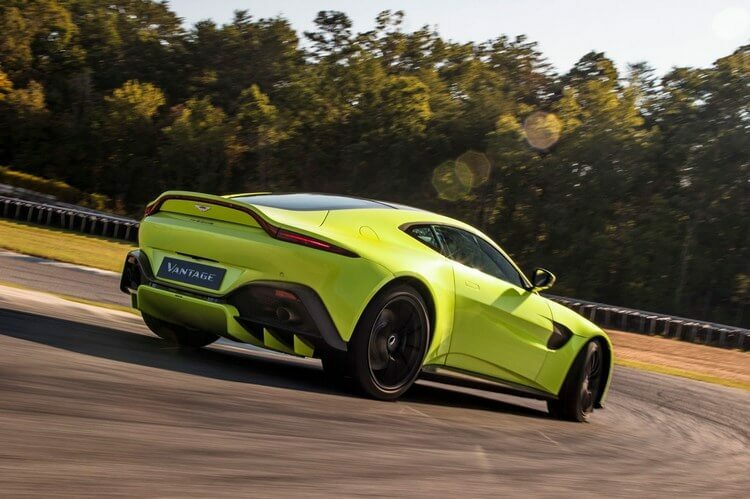 The Vantage can offer a great experience on track. It is also satisfying enough for daily use, although it is not exactly comfortable while on rough-conditioned roads. Unfortunately, at the price range of $130,000, the Porsche 911 is in the winning side here. Even so, the 2018 Vantage will still be a great substitute besides the 911. And that’s it folks! 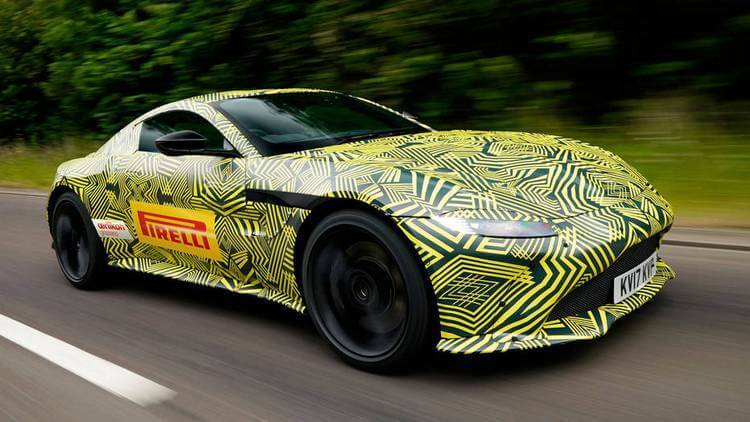 What do you think about the 2018 Aston Martin Vantage? Feel free to share with us and for now, thank you and stay tune for more news in the future! Pingback: 2018 Chevrolet Corvette ZR1 Review: The Strongest Corvette Ever Lived?